This Refugee Week (18-24 June), thousands of people will come together to celebrate the contributions, creativity and resilience of refugees. Last year Refugee Week reached an estimated four million people on social media, thanks to supporters like you. 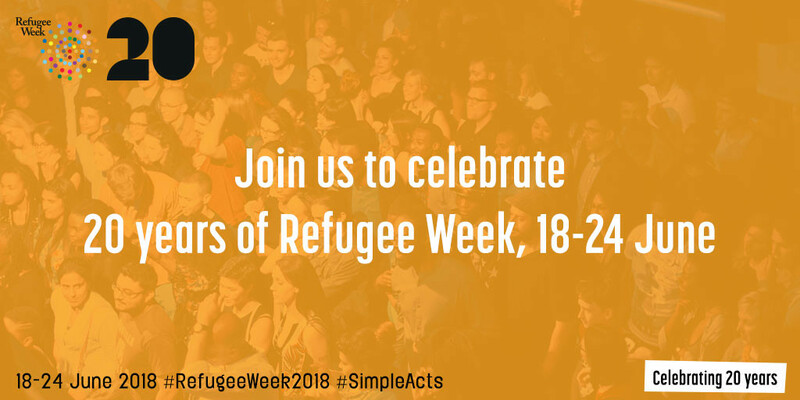 Help us make an even bigger noise for Refugee Week’s 20th birthday by joining in online using #RefugeeWeek2018 and #SimpleActs. 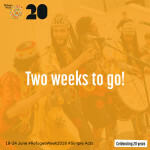 Spread the word about Refugee Week by taking part in the Refugee Week Thunderclap campaign here. 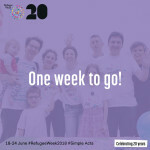 Sign up takes 15 seconds, and your Twitter or Facebook account will post a special Refugee Week message on 18 June. 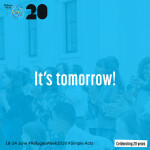 To celebrate 20 years of Refugee Week, we’re inviting you to do one of 20 Simple Acts: everyday things we can all do to change the way we see refugees, and ourselves. Visit the Simple Acts page for more details, and share your act using #SimpleActs. We’d love to see how you are celebrating (click here for some tips for filming on your phone)! Share the posts below with a graphic on Twitter (or adapt for Facebook/ Instagram) – thank you!